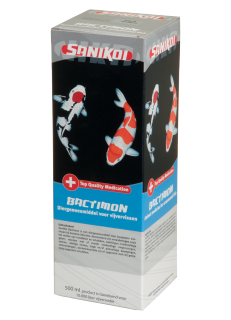 SaniKoi Bactimon is a medicine with a broadly-based action against bacterial infections. 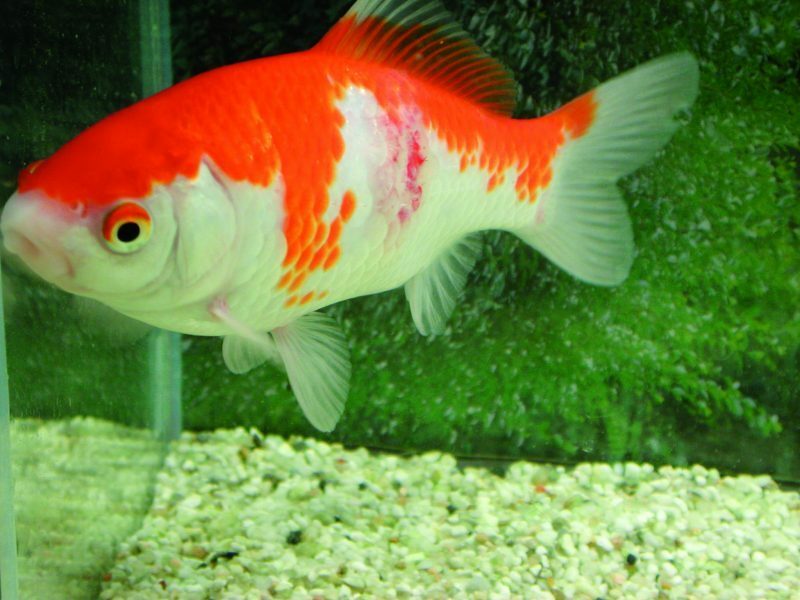 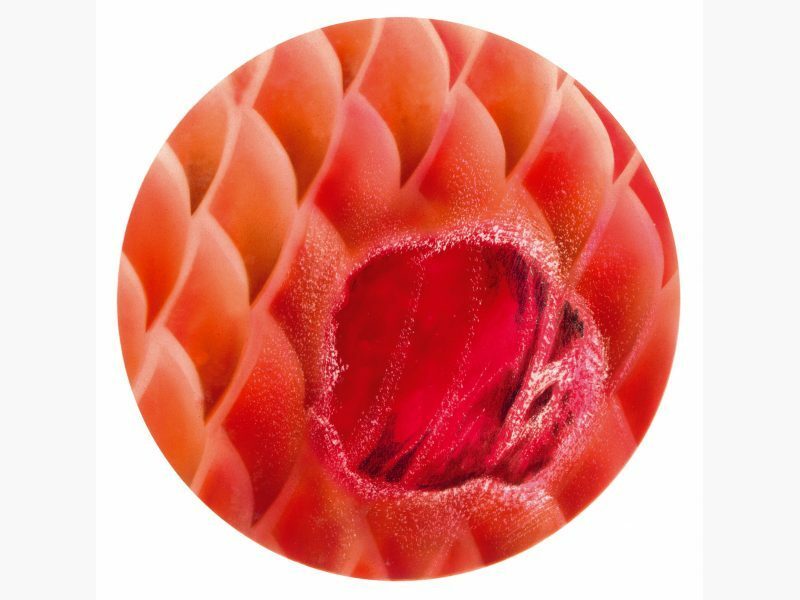 Characteristic are loss of skin parts and scales, swellings, crateriform holes, wounds, ulcers, frayed fins, slow and / or unexpected movements, cramps, dark colouring and / or swollen belly and simultaneously swollen scales. 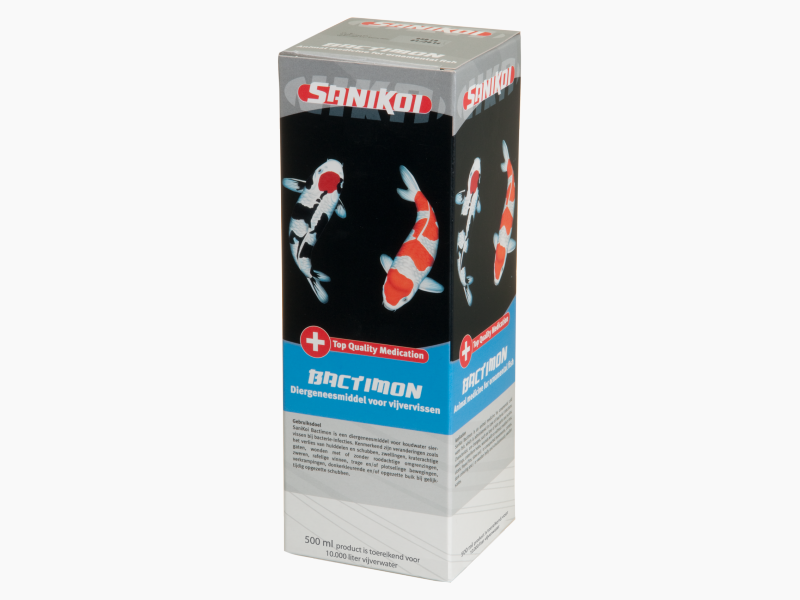 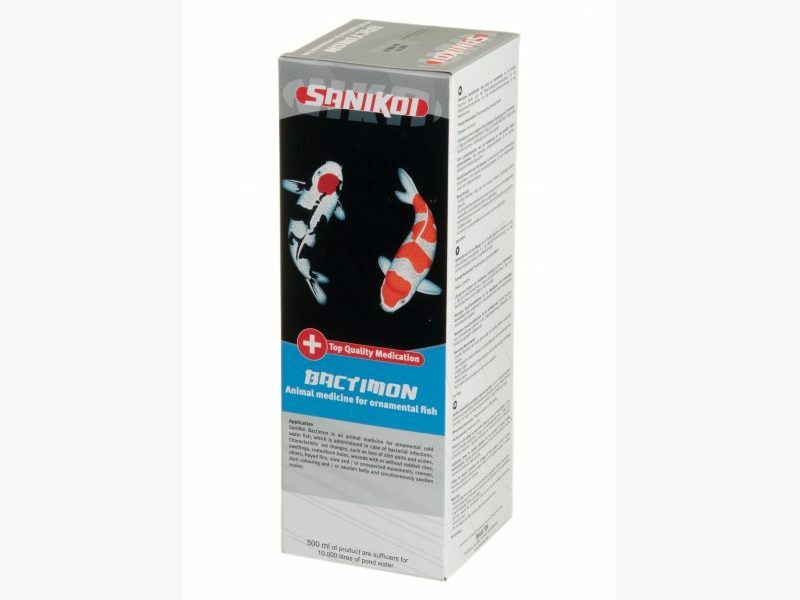 SaniKoi Bactimon is an animal medicine for ornamental cold water fish.